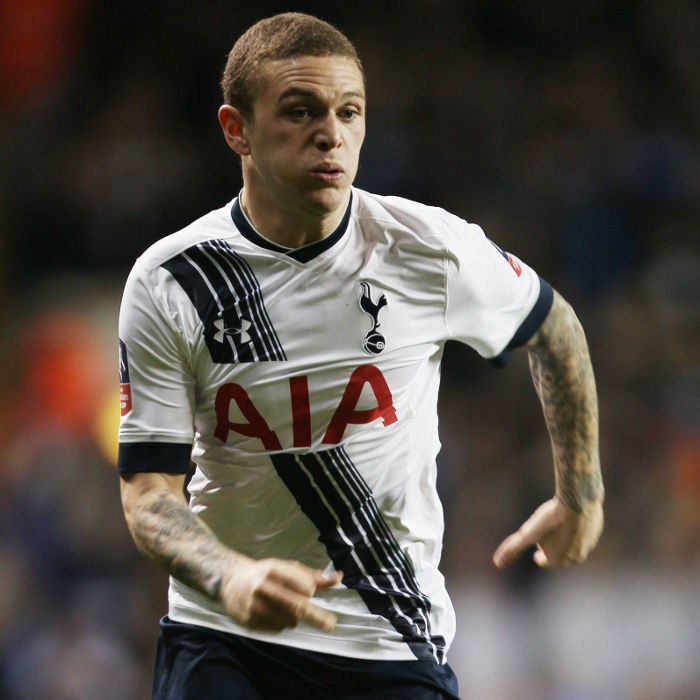 Kieran John Trippier (born 19 September 1990) is an English footballer who plays as a right back for Tottenham Hotspur. 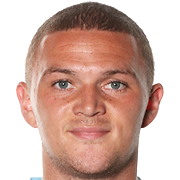 Trippier started his career in the youth system at Manchester City but failed to make the breakthrough to the first team and didn't make a professional appearance. In February 2010, he joined Football League Championship side Barnsley on a one-month loan. He re-joined the club in August 2010 for a six-month loan which was later extended until the end of the season. In July 2011, he signed for Championship side Burnley on a season-long loan which was made permanent in January 2012 for an undisclosed fee, signing a three-and-a-half year contract. He was named in the Championship PFA Team of the Year for two consecutive seasons in 2012–13 and 2013–14. 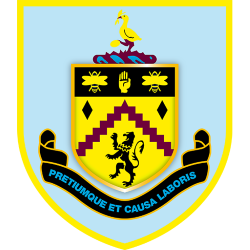 In 2014 he secured promotion with Burnley to the Premier League as the side finished runners-up in the Championship. He has also represented England at all levels from under-18 to under-21, featuring in the 2009 UEFA European Under-19 Championship and 2009 FIFA U-20 World Cup. 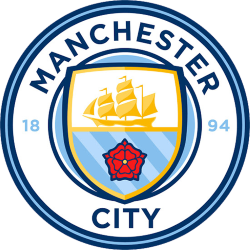 Born in Bury, Trippier joined Manchester City's academy at the age of nine, where he progressed through the ranks at the club, signing his first professional contract in 2007. In the 2007–08 season he became a regular in the reserve side and was also captain of the side that won the FA Youth Cup. In August 2009, he featured in the prestige friendly against FC Barcelona at the Camp Nou. He joined the first-team for the pre-season tour of the United States in the summer of 2010. Trippier was first called up by England at under-18 level in November 2007 for an international friendly against Ghana at the Priestfield Stadium, Gillingham. He made his debut in the 2–0 victory, coming on as a late substitute for Seth Nana Twumasi. He then progressed to the under-19 squad in November 2008 for the 2009 UEFA European Under-19 Championship qualification match against Albania, making his debut in the 3–0 win in Coleraine, Northern Ireland. He was a mainstay in the team as the squad qualified for the 2009 UEFA European Under-19 Championship finals in Ukraine, and was named in the squad for the finals of the tournament. He featured heavily in the tournament as England reached the final but were beaten 2–0 by the hosts Ukraine. After reaching the final, England qualified for the 2009 FIFA U-20 World Cup in Egypt a month later and Trippier was named in the twenty-one man squad. He featured in all three games as England were eliminated finishing bottom of the group with defeats to Uruguay and Ghana, and the 1–1 draw with Uzbekistan. In October 2010, he received his first call-up to the under-21 squad for the 2011 UEFA European Under-21 Championship play-off against Romania, however he failed to feature. He made his debut a month later in the international friendly with Germany, a 2–0 defeat. His final appearance for the under-21's came in an international friendly against Italy in February 2011 at the Stadio Carlo Castellani in Empoli. He came on as a second-half substitute for Josh McEachran in a 1–0 defeat.